Create the perfect business card for every need—whether you are a job-hunting grad doing networking rounds, a part-time freelancer working from home, an entrepreneur or a CEO. CardWorks makes it easy to select and customize a business card design so your clients and customers will always know how to reach you. Choose from the business card templates that come with CardWorks or download even more free templates. 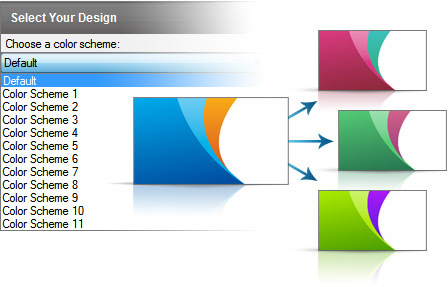 Use the color scheme dropdown menu to pick a color scheme that best fits your branding style and logo. Print your business cards staight from the application, or save as a PDF document and take your design to a printer. 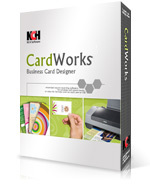 Create professional, high quality business cards in minutes with CardWorks. Simply download now and install now to start exploring the endless design posibilities.